Snowflake multi tool. 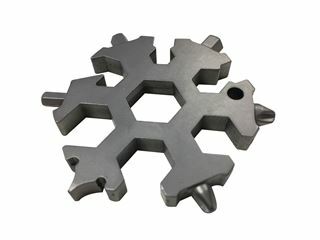 19 function metal multi-tool in shape of snowflake. Perfect practical gift. 60mm x 6.5mm. Functions include screwdriver, bow cutter and many more. Engraved.